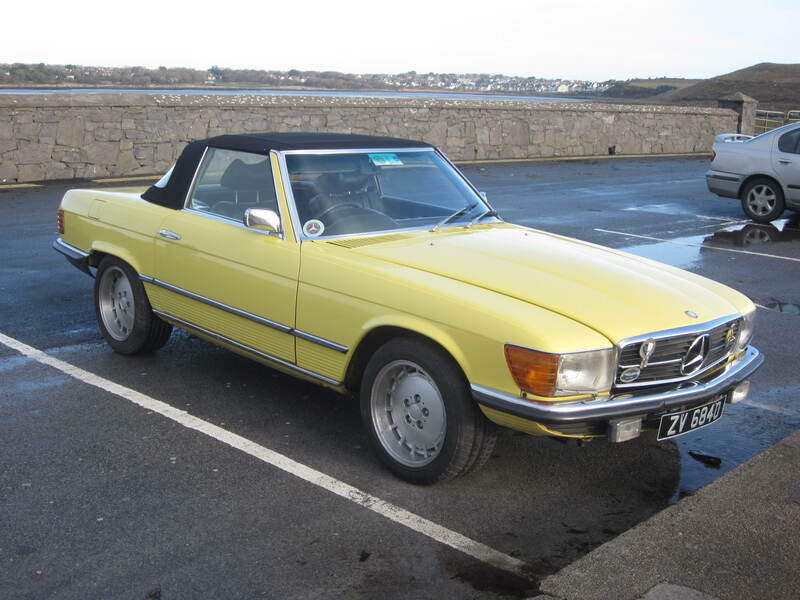 Many Mercedes models from the 1970s and earlier are now of sufficient value when in top condition to justify extensive restoration as an alternative to the difficult task of finding one which is already in pristine condition. A bonus of restoration is that the personal preferences of the owner such as paint colour, trim colour, trim materials and equipment options can often be incorporated as though a new car were being ordered, and the quality of the finished article is assured through careful monitoring of the restoration and rebuild process. 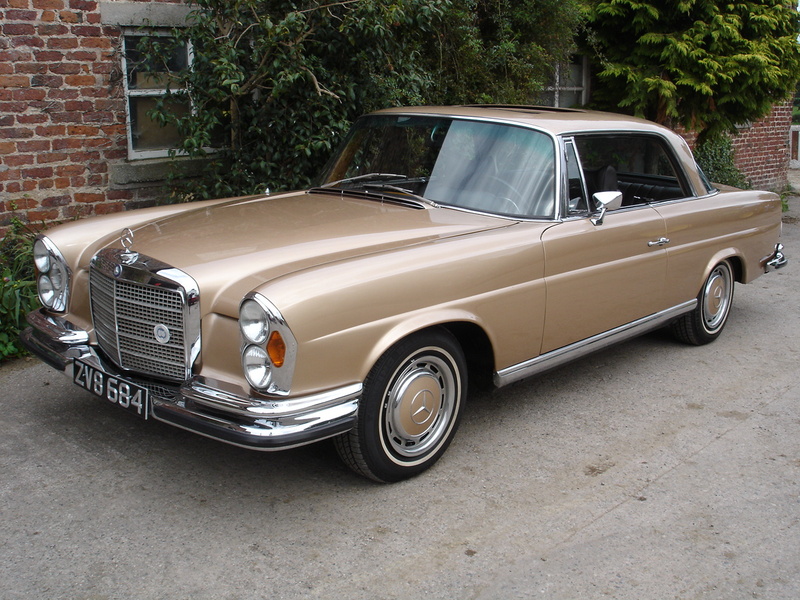 This car looked superficially OK, but following a detailed appraisal and uncovering of numerous serious faults we convinced the owner that it should be dismantled for spare parts, as a restoration could never have been cost-effective. 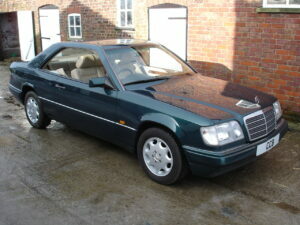 The majority of Mercedes models from the 1980s and 1990s, with some exceptions, are not yet of sufficient age or rarity to justify extensive restoration against the final value of the completed car, unless great sentimental value attaches to a particular vehicle. 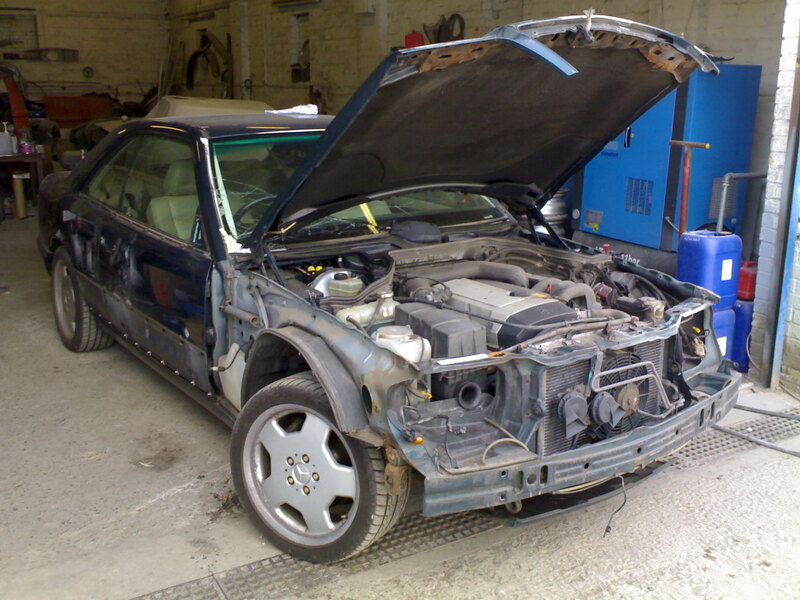 However it can be viable to carry out selective restoration where localised deterioration has occurred, which will bring the vehicle back to top condition and maximise its value. Work in progress. It’s always darkest just before dawn! 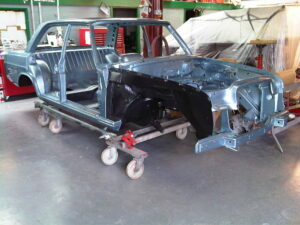 The finished article – a car to be proud of! This car was completely original structurally, with no welding ever having been needed, having lived its entire life in the warm California sun. The non-original ivory paintwork and the interior woodwork was, however showing some cosmetic deterioration. We stripped and repainted it in its original Sand Beige metallic, refurbished the wood and ‘Europeanised’ the lighting. The leather interior was not touched as it was still in glorious original condition with just a light patina as befits the car’s age. We checked, serviced and adjusted all mechanical components as necessary, and undertook several trips as part of the proving, including two ninety mile motorway journeys. In every case it performed faultlessly in both high speed running and heavy traffic. It has now gone to a new life back in Germany. We can price our involvement as a management fee or a percentage of the cost of the work, depending on the nature and extent of the project. 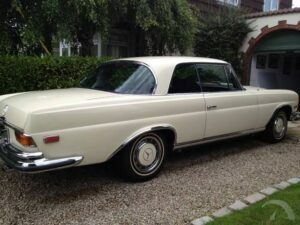 We aim to mitigate the cost of our fee by carefully controlling expenditure, sourcing the most competitive quotations for work, minimising cost and/or time overruns, achieving a better quality (and therefore more valuable) resultant vehicle and taking the uncertainties (and the stress and worry) out of the restoration process. 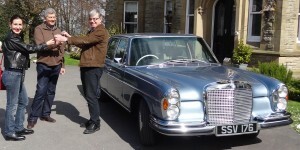 Pete handing the keys to the new Australian owners prior to them setting off on a 4000 mile European tour then having it shipped home. 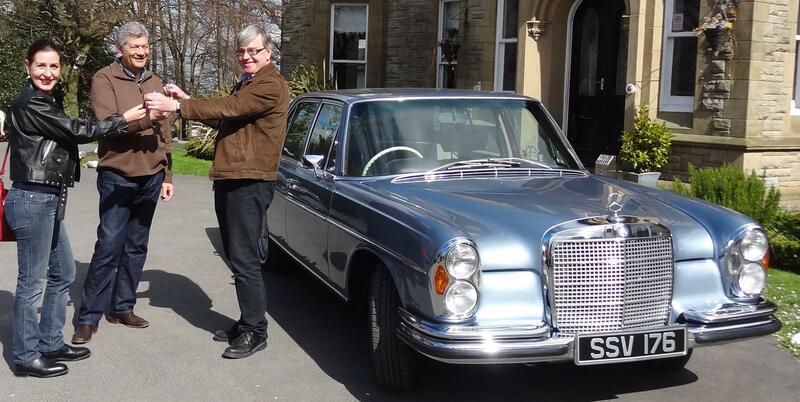 If you think we may be able to help you achieve your classic Mercedes goal please call us on 07980 241177 or 01625 260913 for a no-obligation chat.